A beautiful paperback edition of The Lion, the Witch and the Wardrobe, book two in the classic fantasy series, The Chronicles of Narnia. This edition is complete with cover and interior art by the original illustrator, Pauline Baynes. Four adventurous siblings-Peter, Susan, Edmund, and Lucy Pevensie- step through a wardrobe door and into the land of Narnia, a land frozen in eternal winter and enslaved by the power of the White Witch. But when almost all hope is lost, the return of the Great Lion, Aslan, signals a great change . . . and a great sacrifice. The Lion, the Witch and the Wardrobe is the second book in C. S. Lewis's classic fantasy series, which has been drawing readers of all ages into a magical land with unforgettable characters for over sixty years. This is a stand-alone read, but if you would like to explore more of the Narnian realm, pick up The Horse and His Boy, the third book in The Chronicles of Narnia. "The magic of C. S. Lewis's parallel universe never fades,"
CLIVE STAPLES LEWIS (1898-1963) was one of the intellectual giants of the twentieth century and arguably one of the most influential writers of his day. He was a fellow and tutor in English Literature at Oxford University until 1954 when he was unanimously elected to the Chair of Medieval and Renaissance English at Cambridge University, a position he held until his retirement. He wrote more than thirty books, allowing him to reach a vast audience, and his works continue to attract thousands of new readers every year. His most distinguished and popular accomplishments include Mere Christianity, Out of the Silent Planet, The Great Divorce, The Screwtape Letters, and the universally acknowledged classics, the Chronicles of Narnia. 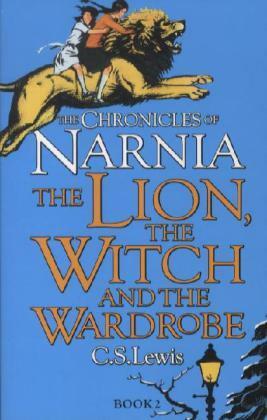 To date, the Narnia books have sold over 100 million copies and been transformed into three major motion pictures.